We provide a variety of services to many of business premises. It is with our experience and expertise that has enabled us to become a one-stop point for all domestic and commercial cleaning needs. We will help you to keep your premises clean, fresh and germ free so you and your employees can work in a clean environment. 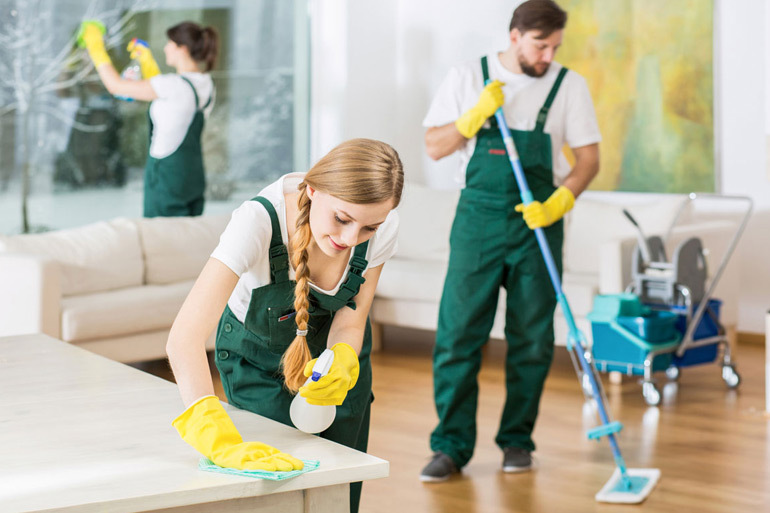 Our staff is fully trained to perform all cleaning tasks and we are using state-of- the-art technology tools, which ensure high tandard services. We use hygienic colour codes and microfibre cleaning products. This allows us to reduce waste and eliminate the risk of cross infection. Our use of eco-friendly products and techniques ensure a healthy and safe working environment for everyone. Every organisation have their different cleaning needs and it is essential to address the cleaning requirements of the organisation. Deep shine cleaning Melbourne understands this very well and always provides customised cleaning solutions for our clients. We always discuss the improvements of cleaning needs with our clients so we can Provide innovative solution for them. Dusting of furniture and workplace areas. Clean and disinfect kitchen and dining rooms. Clean and disinfect all the meeting rooms. Clean and disinfect toilets and bathrooms.